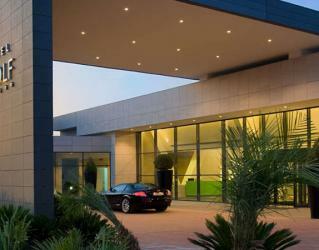 La Finca Golf & Spa Resort, the modern and chic design of the resort reveals the meticulously created details. The panoramic views of the elegant rooms are a superb choice for couples, families and groups. Luxury rooms, exquisite spa, excellent dining options are the great facilities. Located right in the heart of La Finca Golf Course, the resort features splendid views. 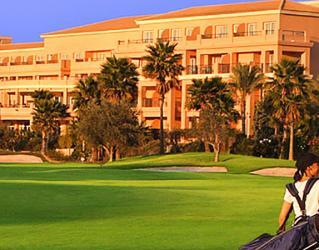 While La Finca Course is just 3 minutes’ walk from the resort, the other two golf courses are to be reached by transfer. HOTEL ALICANTE GOLF: A GREAT GOLF COURSE AT SAN JUAN BEACH, A FEW MINUTES FROM THE CITY CENTRE.Hotel Alicante Golf is the perfect starting point to enjoy Alicante and San Juan Beach. 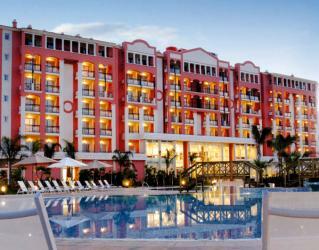 It is located within an exclusive golf course and just a five-minute walk from the wonderful San Juan Beach. Its extensive promenade will allow you to enjoy a wide range of the best services in front of the sea.